Gone are the days when most Nigerians relied on cables for internet access. With the introduction of Wifi, internet access is seemingly easier, faster and much more convenient. Although the almighty Wifi is one of the most useful and important aspects of using a computer, it can also be frustrating as sometimes the Wifi network can be sluggish, defective, and insecure. 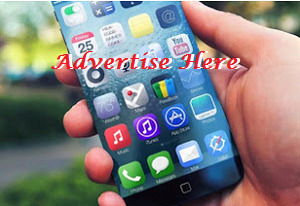 If you are plagued with bad reception, slow speeds, and other issues,Jumia Travel, Africa’s No. 1 online hotel booking portal presents 5 ways you can power up the Wi-Fi and improve your network speeds. Wifi is channeled via a router, and while these routers might not always blend into your interior décor, it is important that you place them in the optimal position to get the best signal. You need to place them out in the open, free of any walls or obstructions. A central position high off the floor is the best option to get the optimal coverage possible in your home or office. Also note that Wifi signals do not work well with water, metal, or glass as all these materials can impede the signal. Most routers come with small antennas with Omni-directional capabilities situated at the back. These antennas broadcast signals in all directions which can be useful if you need connection throughout your house, but the range is quite short Ensure the antennas are well screwed in and pointed vertically. If your router has directional/adjustable antennas, changing their angle can redirect the signal and cover dead spots. If you have the new 802.11ac router, you probably won’t need this. The 802.11ac router uses a technique called beamforming to focus the signal toward devices on the edge of your network. If you have run some tests and are certain the problem with the network slack is not as result of heat, old firmware or excessive downloads, you should try to reboot the router. This simply implies putting it off, then putting it back on again after some minutes. To avoid having to reboot your router every so often, you can set just set it to reboot automatically once a day or so. You can do this with DD-WRT or just a regular old outlet timer. Most time, the network from a router can be affected by networks from other routers. This, however, is not the only thing that can cause interference. Other electronic devices such as TVs, mobile phones that generate electromagnetic signals can muck up your signal as well. It is, therefore, important to place the router in such a way that this kind of appliances do not interfere with it. A dual band router can also help with the interference. If your router’s default settings work fine, but your wireless signal seems flaky, the best step to improve the network is to go into your router’s web control panel to change the channel. 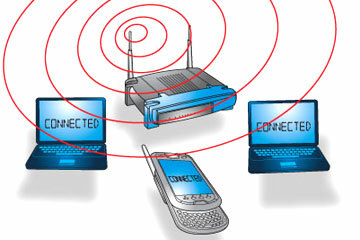 Wireless routers can operate on different channels. Most routers can use 11 channels (specific radio frequencies) and are set to channel 1, 6, or 11 by default because these frequencies don’t overlap with one another. Naturally, you would want yours on a channel with as little intrusion as possible. Tools like Wi-Fi Stumbler or Wi-Fi Analyzer can be used to find the perfect channel in your house.